How Leonardo DiCaprio is saving planet Earth? Saving the polar bears? Check. What more could you ask of the Hollywood heart throb Leonardo DiCaprio? A staunch supporter of the conservation and sustainability cause, here’s how Leonardo DiCaprio is saving planet earth. Leonardo, the high profile environment campaigner sits on the board of a number of international environmental organizations including the World Wildlife Fund (WWF), the International Fund for the Animal Welfare, Global Green USA, and the Natural Resource Defense Council and has donated millions of dollars to environmental protection groups, ocean conservation programs, and organizations who help defend endangered elephants. The Leonard DiCaprio Foundation supports a wide range of projects that protect vulnerable wildlife from extinction while restoring balance to threatened ecosystems and communities. Working alongside WWF, and allied organisations, Leonardo is trying to save a block of Sumatran forest – the Leuser Ecosystem, last place on Earth where Sumatran orangutans, tigers, rhinos and elephants coexist in the wild. 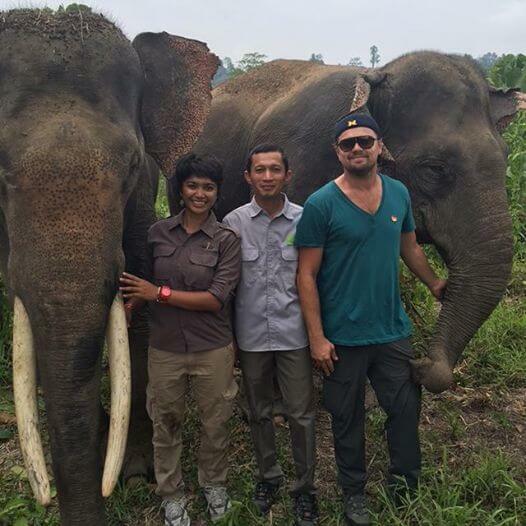 As one of the most vociferous voices on environment, Leonardo DiCaprio is currently on a mission in Sumatra (Indonesia) to see how the island’s endangered elephants, tigers, rhinos and orangutans are surviving against the odds. In Sumatran forests, ancient elephant migratory paths are still used by some of the last wild herds of Sumatran elephants, But the expansion of Palm Oil plantations is fragmenting the forest and cutting off key elephant migratory corridors, making it more difficult for elephant families to find adequate sources of food and water. The Leonardo DiCaprio Foundation is supporting local partners to establish a mega-fauna sanctuary here as there are only about 2,400 of Sumatran elephants left. Time is running out for the world’s remaining 3,200 tigers, largely the result of habitat destruction and escalating illegal poaching. WWF, the government of Nepal and local communities are on the front lines of this battle and I am hopeful this grant will help them exceed the goal of doubling the number of these noble creatures in the wild. 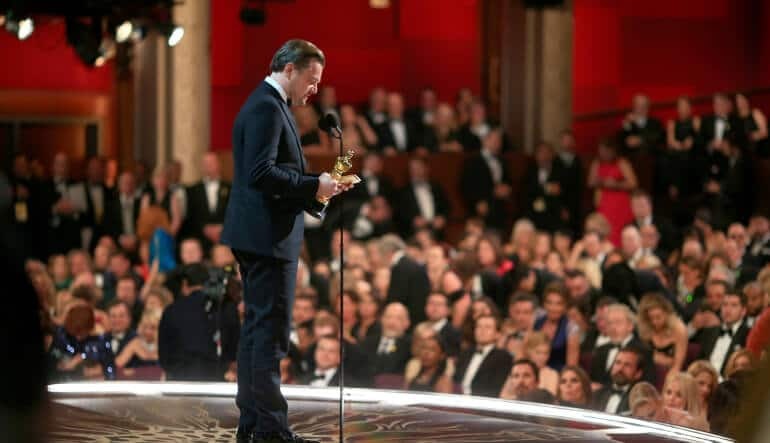 In 2014, Leonardo delivered a passionate speech at the United Nations urging the world leaders to address the single biggest threat facing the planet today, climate change. As an actor I pretend for a living. I play fictitious characters often solving fictitious problems. I believe humankind has looked at climate change in that same way: as if it were a fiction, happening to someone else’s planet, as if pretending that climate change wasn’t real would somehow make it go away. We only get one planet. 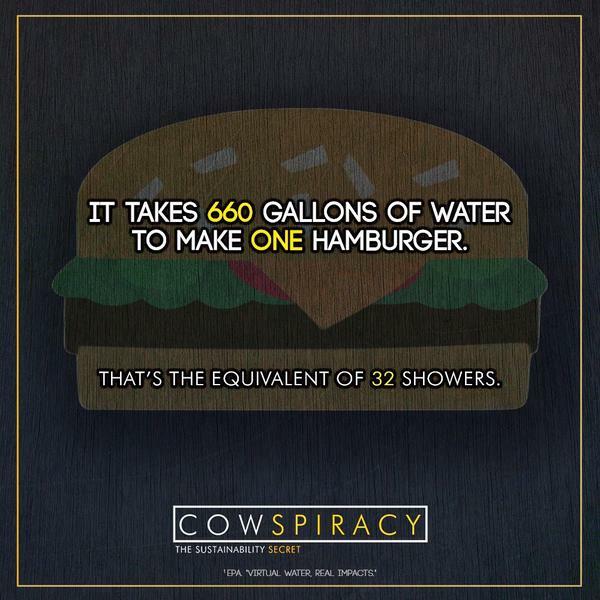 Humankind must become accountable on a massive scale for the wanton destruction of our collective home. 4. Protecting oceans through a collaboration called “Oceans 5″ which fights over-fishing, and establishes marine reserves. 5. Saving sharks by getting international trade restrictions for five threatened species of sharks. 6. 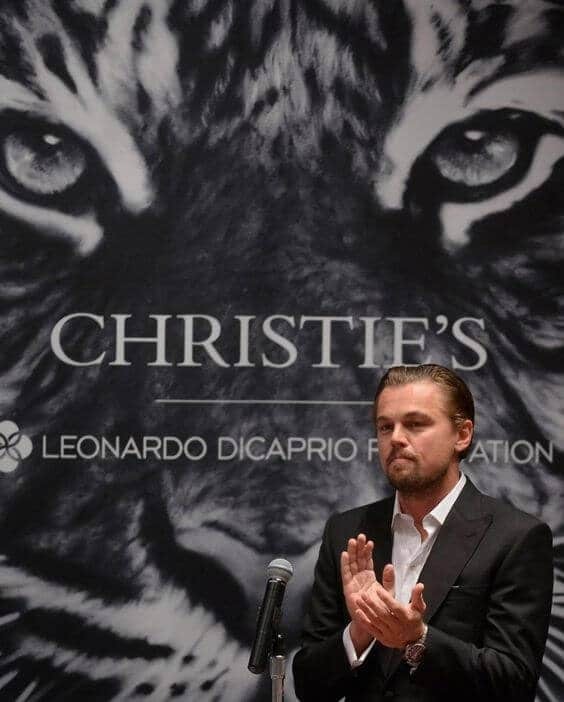 In 2013, Christie’s auction house raised $38.8 million through a charity art auction and donations, for the Leonardo DiCaprio Foundation. 7. Protecting Antarctica by providing a grant to Antarctic Ocean Alliance. 8. Providing a grant to supply sustainable access to clean water to 430,000 people in Darfur, Mozambique, Sierra Leone and Tanzania. 9. DiCaprio partnered with Netflix to bring hard-hitting documentaries like Virunga, an anti-poaching exposé and Cowspiracy: The Sustainability Secret. 10. Leonardo’s Oscar acceptance speech too, was about climate change! 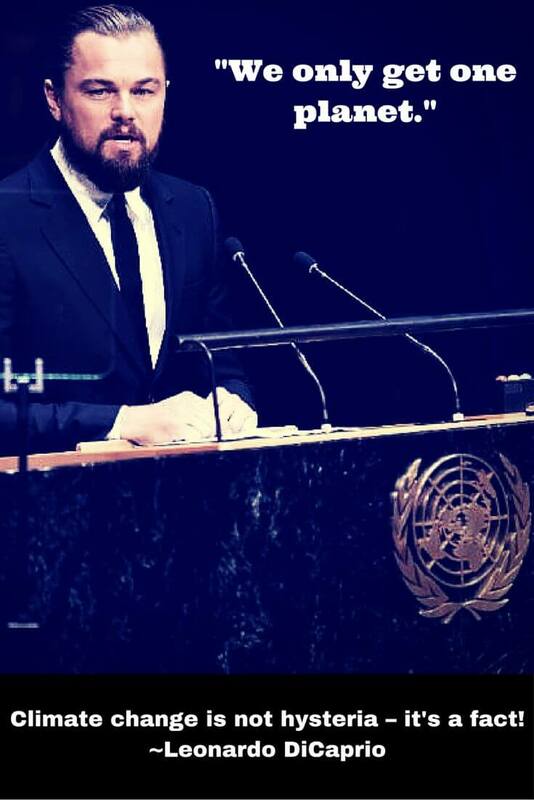 Even on the grandest stage of them all, Leonardo DiCaprio voiced his support for the planet earth and environment. Making The Revenant was about man’s relationship to the natural world. A world that we collectively felt in 2015 as the hottest year in recorded history. Our production needed to move to the southern tip of this planet just to be able to find snow. Climate change is real, it is happening right now. It is the most urgent threat facing our entire species, and we need to work collectively together and stop procrastinating. We need to support leaders around the world who do not speak for the big polluters, but who speak for all of humanity, for the indigenous people of the world, for the billions and billions of underprivileged people out there who would be most affected by this. For our children’s children, and for those people out there whose voices have been drowned out by the politics of greed. I thank you all for this amazing award tonight. Let us not take this planet for granted. I do not take tonight for granted. Thank you so very much. *For those wondering if the bear fight sequences or the horse carcass scenes in The Revenant were real…? No, they were led by CGI and props. No horses were thrown off cliffs during the shoot. 11. And the most important of them all, Leonardo DiCaprio loves dogs! Also read, why Leonardo’s The Revenant co-star Tom Hardy is a dog favorite! Previous Previous post: What is your dog’s worst fear? Next Next post: You need to see the cutest dentist dog in the world!